"Where witches are made the prey for a king's hunting party while simultaneously still vying for work, and teenagers are turned into fish for trying to trick magicians, you can be sure of a good story." Happy new year! 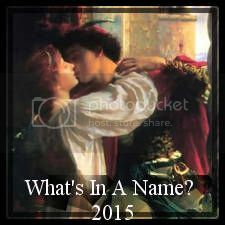 This is the gateway post for What’s In A Name 2015 which is now in its eighth year. 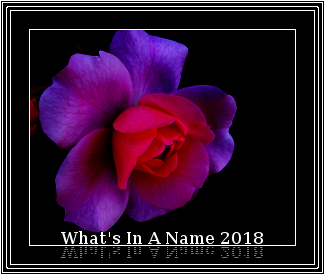 Below are the links to the pages for each category, as well as the wrap up page. As you read and review your chosen books, add the review links to these pages so that everyone can follow the progress and find out what’s being read for the challenge.